Why is it that emotionally distressed souls signal ‘SOS’, to recapture cocktail’s attention? What is it that, that deprives them of a real ecstatic meaning in living? Do they have to doom their lives into a shrinking cocoon? The solution, ‘NO!’ dumb those revile, heart attacking mouths and soothes the breathless soul’s weep. Yes! Certainly, there are daggers called MUSIC, shielding these pity peace wanderers at the murkiest twist in their own tale. 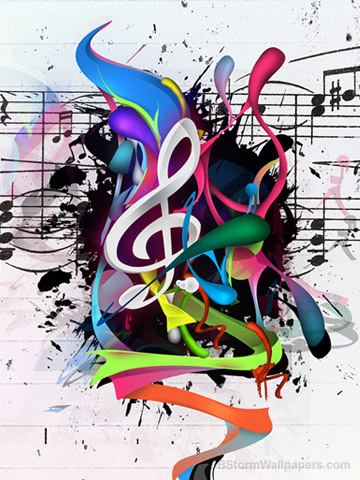 In fact music is supposedly the universal theme of ‘INTERNAL MENTAL CURE’ that resides in all electrifying cardiac core. It’s a momentum success when the temporal lobes activate at the nick of time, just after the ossicles dance in unison. Thanks to the richest elements, nature has bestowed with chirps and crows. The rhythmic brook gently glides upon the cobblestones, thus adding to nature’s musical emotions. Then the breeze smears the dandelions and buttercups with the scent of blessings audibly. Soon these are overtaken by rock music of the firmament. i.e. the occasional guffaws of electrical disturbances. Finally, the old world, like a cauldron deliciously cooks the sweetest elements of nature with a bit of real spicy music. This so called ingredient has played a part and parcel in this theatrical expanse of globe, but wait…. Just now someone could feel the intensity and purity of a song. It hums LUB-DUB, LUB-DUB,…. In fact, her veins so rhapsodize and she is undergoing a nerve cure. She’s actually preparing to experience the outside guitar as soon as she steps out from this cozy world named womb! Wow, it amazes me, when, there are myriad tongues that can speak music in a tune of unique speciality. It’s like the nature curling aglow, showing her silver locks, just to express blessing’s presence even among disguised bait. So the disguise is like the reeking hell , bombarded with the dropouts in life. Also, the blessing turns out to be the MUSIC that these ‘train of baffled’ have in common. Yes, once again music is at the nick of time to pep up the disappointed and the neglected. Thanks to her patience in dealing with these intricate features and sufferings.